The Little family surely came to Ireland from Scotland during the border wars in the early 18th century. The Bonds, Littles and other Scots families were the congregants at Corboy Presbyterian Church. How the Littles of Ballygarve are connected to these earlier Littles, who owned land nearby, isn't known. Other Corboy families had the Scots names Graham and Frasier. Graham Little may have gotten his first name from a maternal branch of his family. His first wife was a Frasier. The families gradually became members of the Church of Ireland, but the Corboy Church still holds some services. The building is now a historical landmark, and it was the same one that Graham Little and his family would have known. Family notes passed down from Stanton Smith call him James Graham Little, but only evidence of the name Graham Little has been found. He was very likely a relative of Daniel and George Little of Ballygarve, who had wills probated in 1761 and 1748/1749 respectively. Either may have been his father. Family notes say Simon Little (1708-1768) was his father, but evidence doesn't support this, and nothing has been found to say that this Simon was born in 1708. If he was, he couldn't have been Graham's father. There was a Simon Little whose will was probated in 1770 and was likely the same Simon supposedly buried in Corboy churchyard, died 1768. He was from Drumnacross near Corboy and Ballygarve. 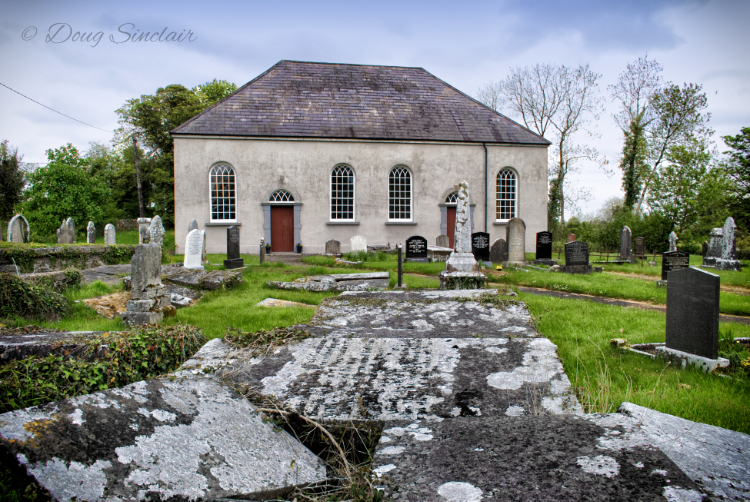 Graham Little has a gravestone in Corboy churchyard, and he was living in Ballygarve when he wrote his will. Given the unusual name, he was very likely the Graham Little who married Mary Frazer about 1749. His gravestone also has an inscription for his wife Jane Murphy. She was about 20 years younger than Graham. She was likely his second wife. There seems to be a big gap between the births of Graham's children. If there was one, it may be that the older children were born to Mary and the later two to Jane. The fact that there was a daughter Jane among the older children may support the idea that all the children were born to Jane Murphy, who could have had them all (Mary could not have), but Jane wasn't an uncommon name in 18th century County Longford. George of Ballygarve, buried at Corboy, may have been Graham's son. The inscriptions on many of these table stones are nearly illegible from lichen, especially in the dim, overcast light the day I visited. I almost gave up looking, but a few letter groups on this stone gave it away. I little soil revealed the rest. 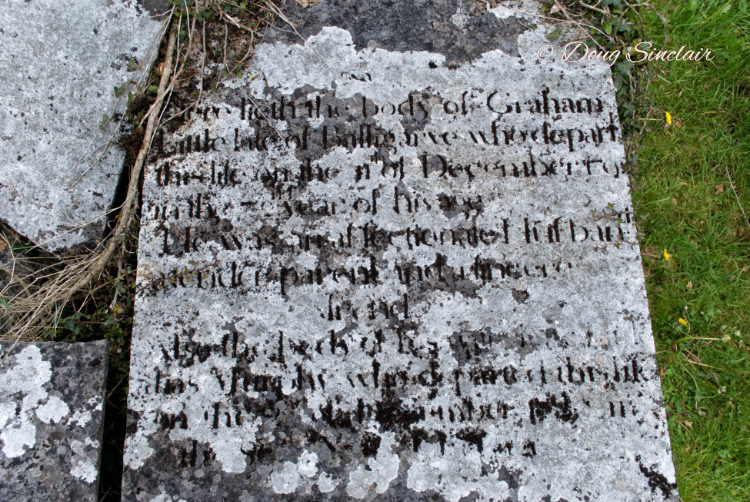 sources for vital records: Graham's date of death and age at death are on a gravestone in Corboy Presbyterian churchyard in Corboy, Co. Longford.